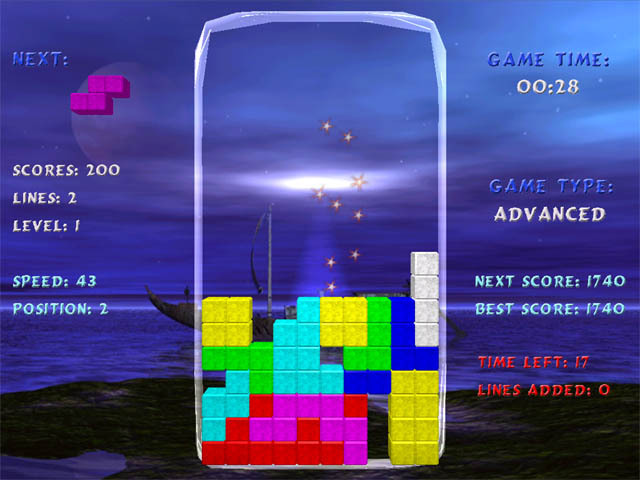 Fantasy Tetris is an ultra-modern 3D remake of the all-time classic Tetris game. There are four different game variations to choose from: Fantasy, Advanced, Professional and Extreme which were specially developed for players of various abilities and preferences. Detailed statistics and advanced control system. Bubble Bobble Nostalgie - On each stage you play one or pair of little dragons against enemies. Water Bugs Game - Takes its cue from the addictive classics Jezzball game and Qix game. Hot! Cynthia's wedding Game - A magic story game of our loving box series. 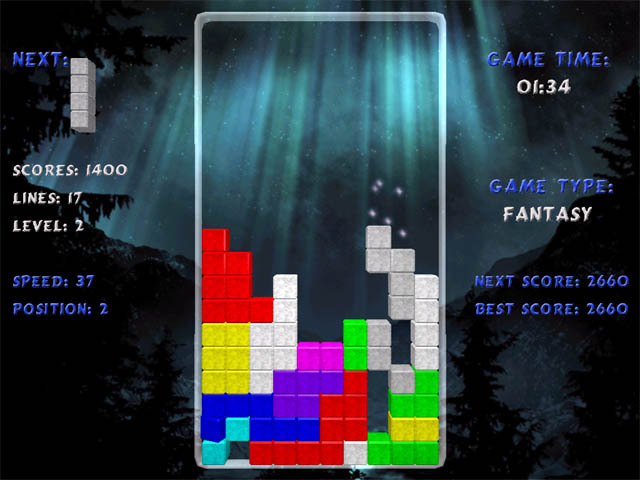 Snake Tetris - There are 3 tetris games in this game: Snake Tetris, Snake and Tetris. RotoBlox - A mixed collection of classic and newest tetris games. AstroRaid - the best vertical scrolling space shooter ! ABANDONED WELL - Consume fuel units and fight monsters! 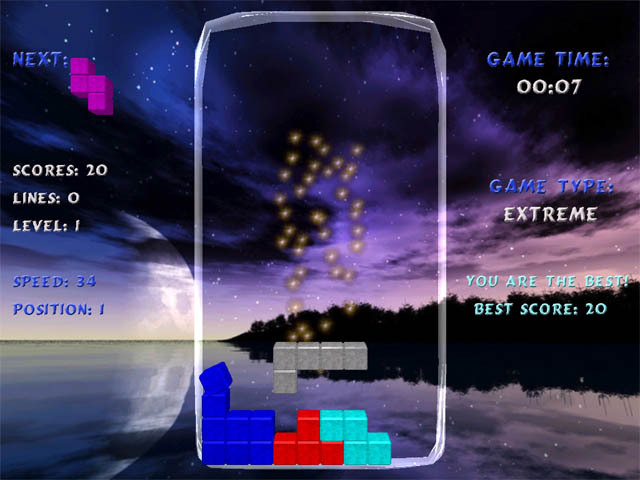 Advanced Tetric - is a reworking of the classic Tetris game with some extra features and variations. Adventuria Game - A new and extremely popular non-violent game kids and their parents go crazy about. Alienoid - A brick-busting game like you have never played before ! Ancient Taxi - In this amazing game you are to pilot a pre-historic helicopter and drive that baby. Bubble Bobble World - A remake of a popular classic game Bubble Bobble !